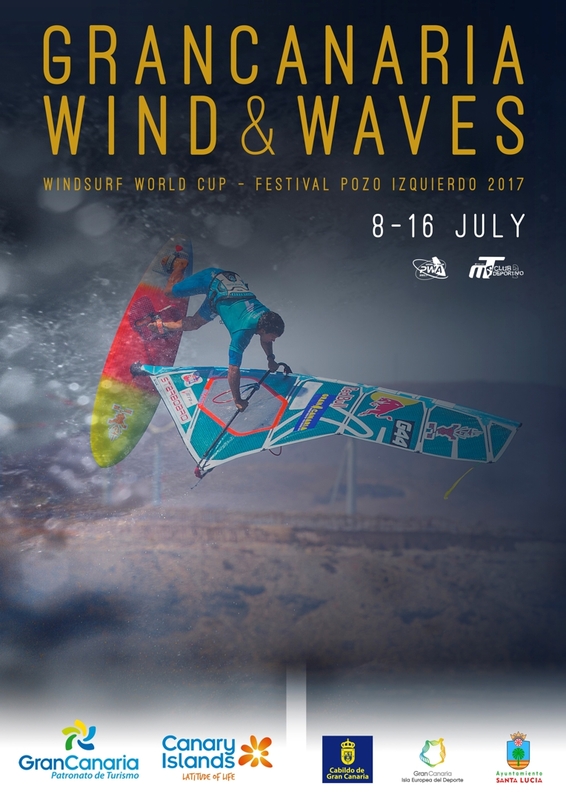 The wait is finally over after months of waiting… it’s time for the first wave event of the 2017 PWA World Tour and Pozo Izquierdo will once again play host to the most radical sailors in the world over the next 7 days for the Gran Canaria Wind & Waves Festival (9th-15th July). Pozo Izquierdo is internationally famed in the windsurfing world due to its unrelenting wind and steep waves. The combination of these two factors creates the perfect playground for the world’s most extreme sailors to defy gravity and perform the biggest stunts on the planet. The local effects mean that even the slightest breeze can soon be accelerated to nuclear strength, with the wind peaking at around fifty knots. Don’t be surprised to see even the biggest guys reaching for the smallest equipment available, as Pozo looks to separate the men from the boys and the women from the girls. Morgen de finale dag van dit event! het wordt tijd dat de punten telling bij de wave anders gaat plaats vinden. diegene die de hoogste aantal punten haalt staat boven aan en die de minste haalt staat onder aan.